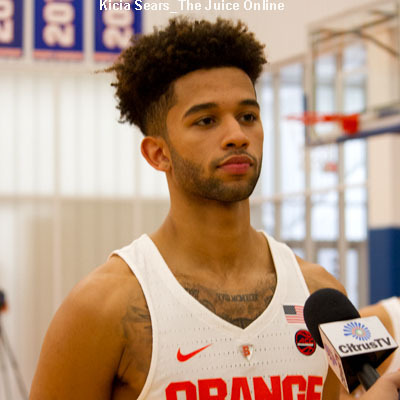 Having played just 34 total minutes in Syracuse’s first nine games, Syracuse freshman guard Howard Washington has clearly not yet earned coach Jim Boeheim’s complete trust. 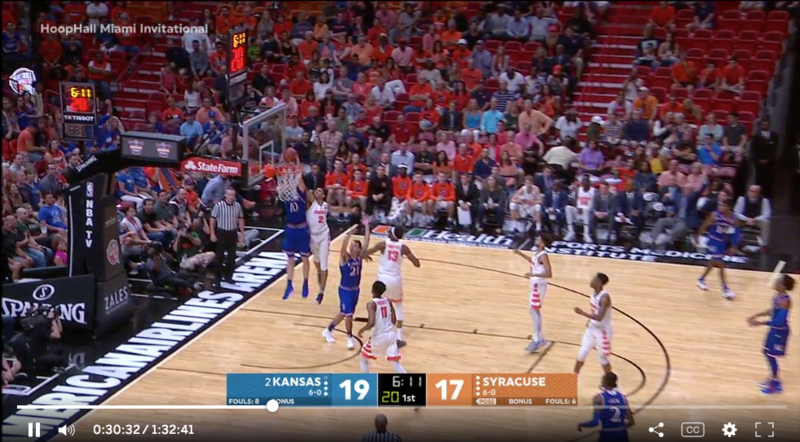 My sense is that Boeheim’s reluctance to take Frank Howard out of the game has been in a large part due to what Howard brings on the defensive end of the court, causing 2.6 steals per 40 minutes with his long 6’4″ frame. But Washington has actually played fairly well in the zone during his limited playing time. As an example, here are the results of the 13 defensive possessions he played in the first half against Kansas. 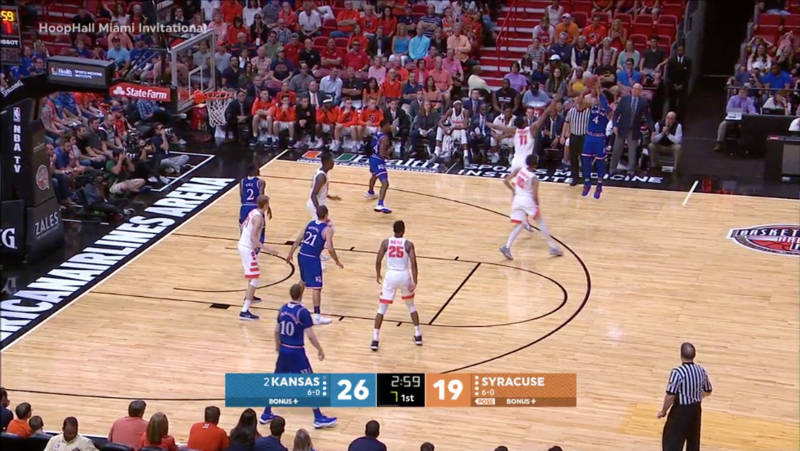 Possession 1: Washington rotated well, causing the Jayhawks to use most of the shot clock. 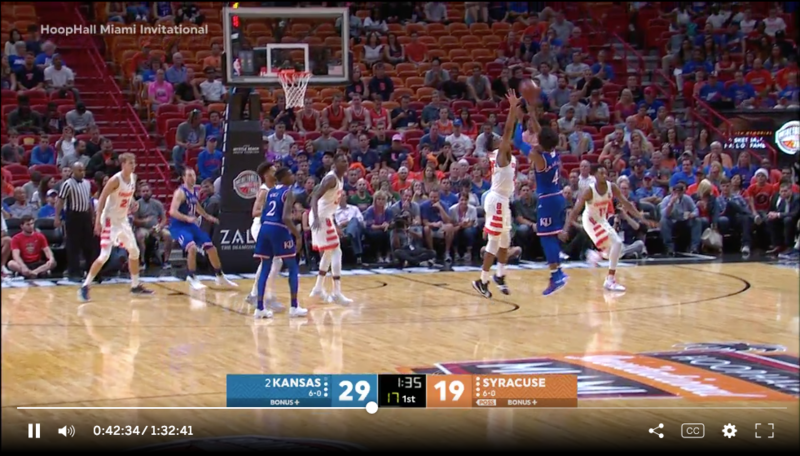 Result: Jayhawks miss long, contested 3. 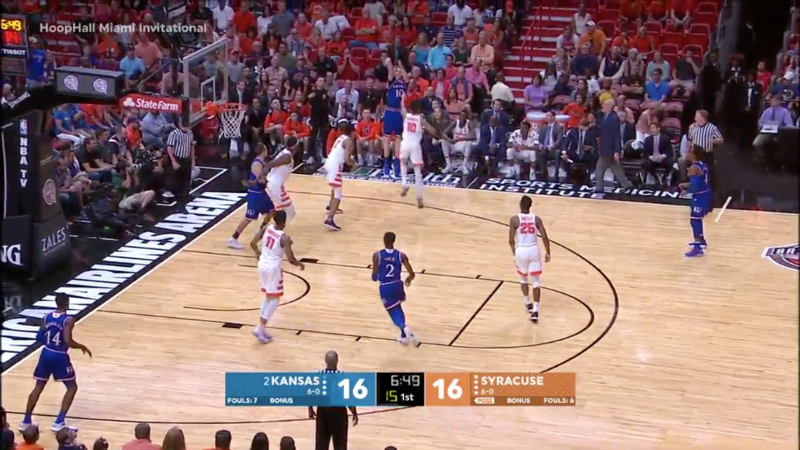 Possession 2: Once again, Washington rotates well, forcing the shot clock below 10. 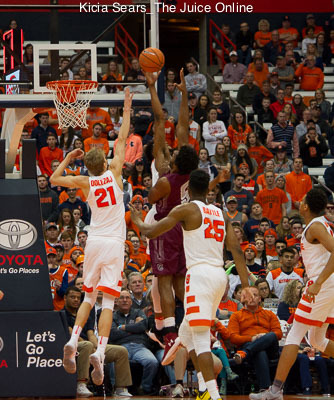 Result: Washington’s contest of Devonte’ Graham’s shot causes a long miss. 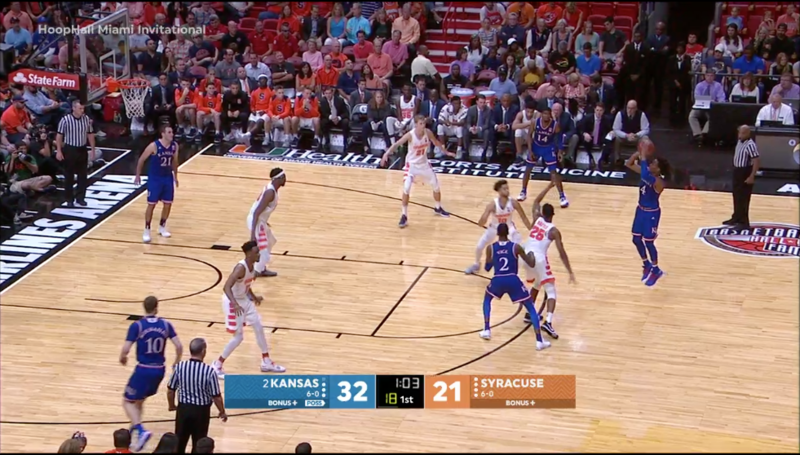 Possess 3: Once again the Jayhawks use more than half the shot clock. An errant pass results in a steal. 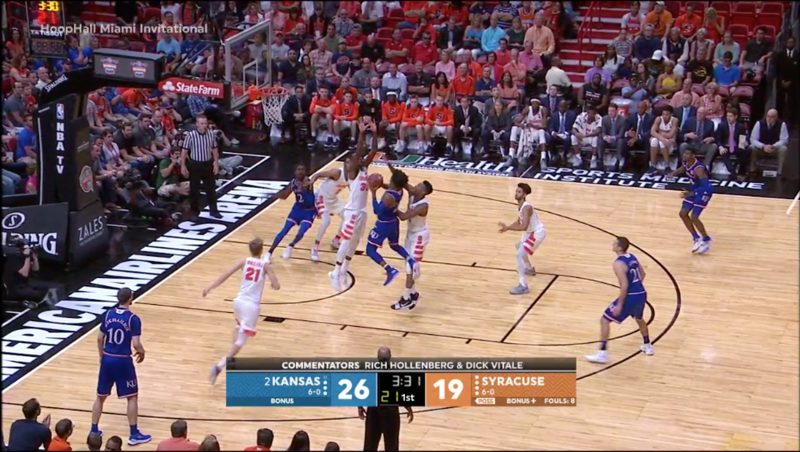 Possession 4: Howard is picked and Battle fails to rotate quickly enough resulting in a long made 3. 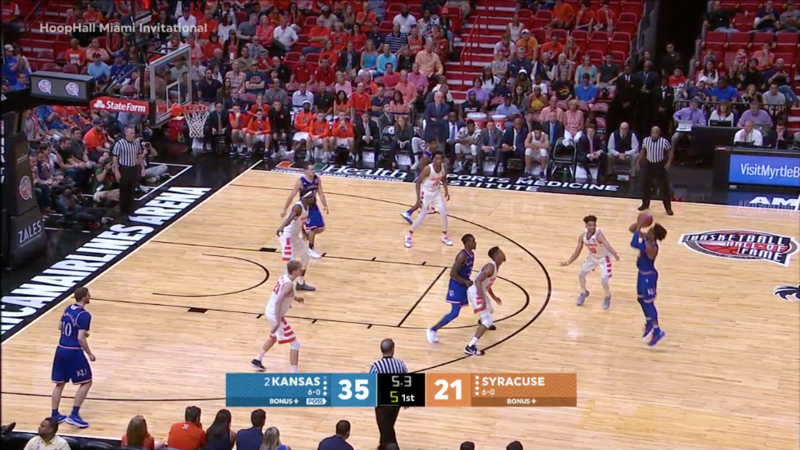 Possession 5: It looks like Washington is late rotating to Sviatoslav Mykhailiuk on this made corner 3, but it was actually Moyer’s mistake as he drifted too far inside on the entry pass to Clay Young, who was covered by Chukwu. 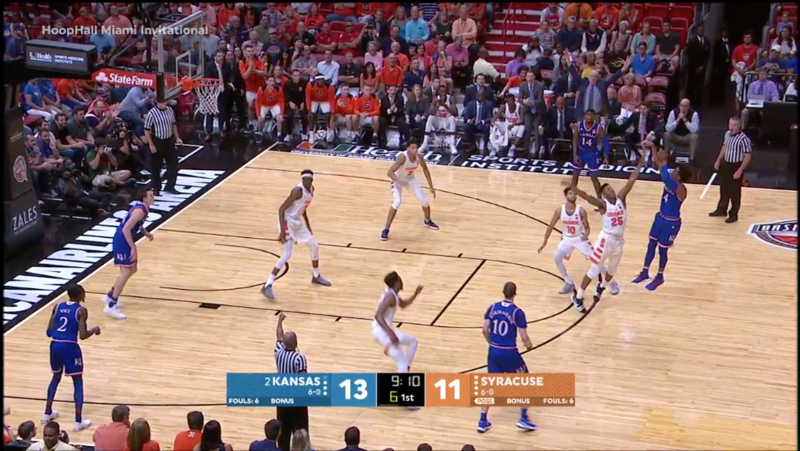 Possession 6: A quick shot results in a long 3-point miss in transition. 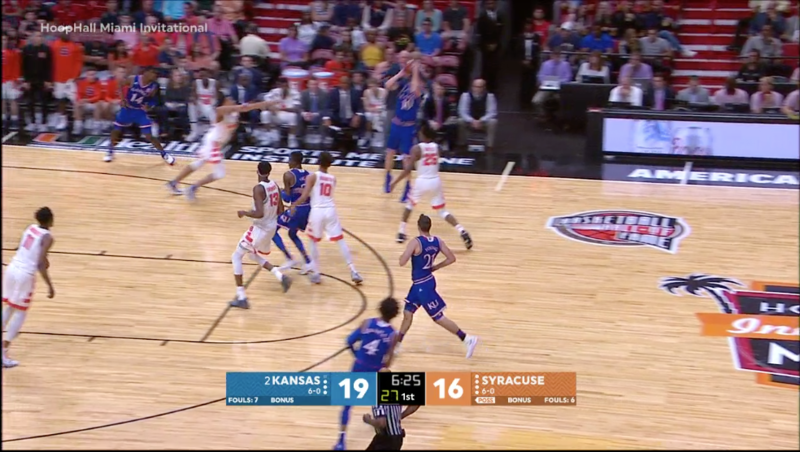 Possession 7: Moyer gets caught sleeping on the back-door ally-oop. Possession 8: Graham drives to the basket and Battle gets the steal off a nice help challenge by Chukwu. 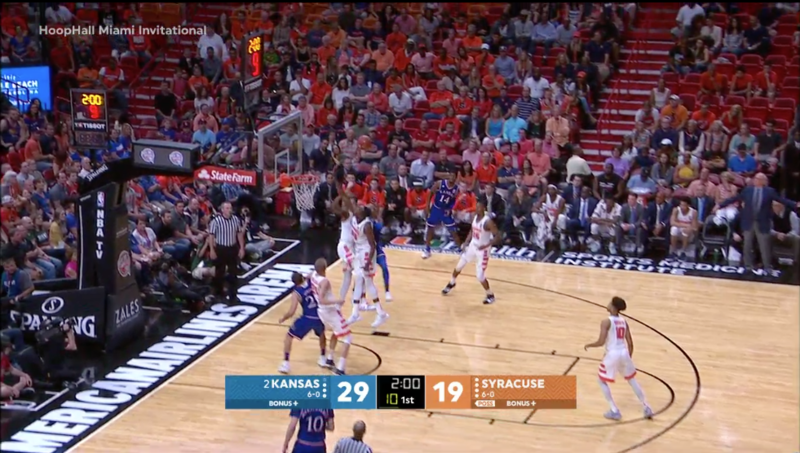 Possession 9: Brissett is a little late on the rotation and Graham sinks a long 3 after Syracuse forced Kansas to use most of the shot clock. 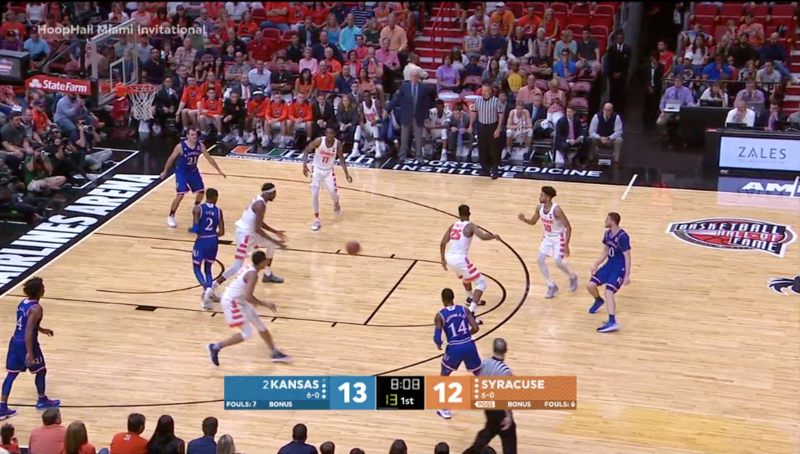 Possession 10: The double-team inside forces a miss by Lagerald Vick on a drive with 10 seconds left on the shot clock. Possession 11: Battle fails to get out far enough on Graham, who makes a long 3 despite the hand in his face. Possession 12: This is the worst defensive possession by Washington in the half. 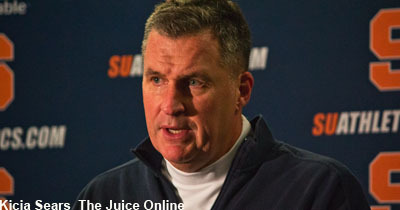 Although Graham is well beyond the 3-point line, he has already made several long jumpers. 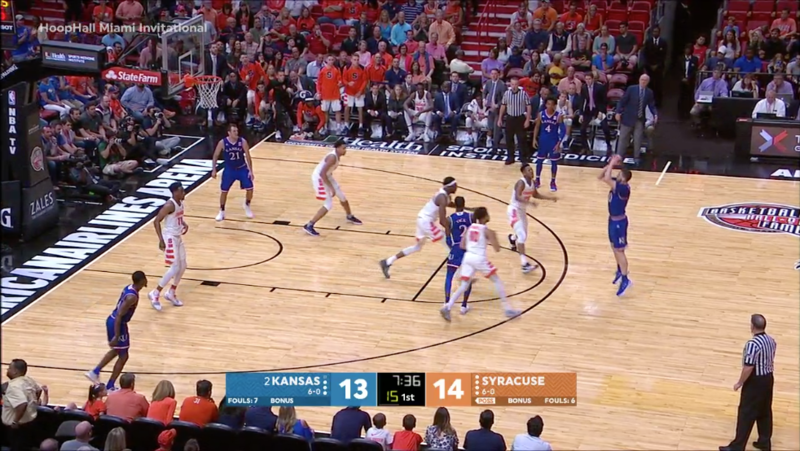 Washington gets caught leaning toward to free throw line despite Kansas having all its players spread around the perimeter and baseline. 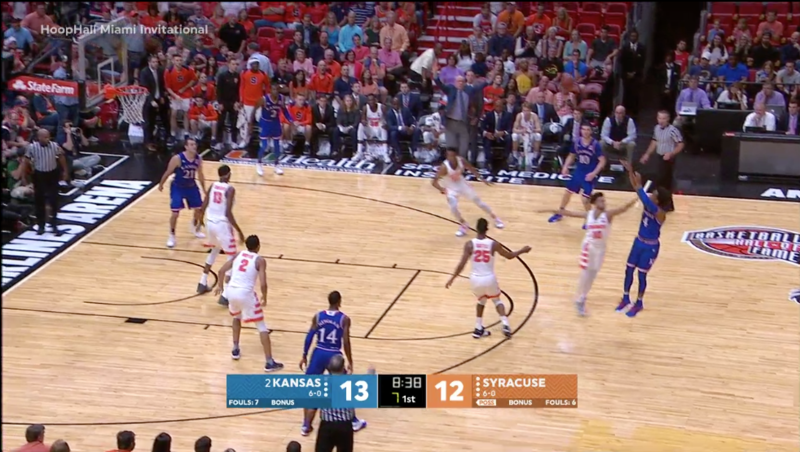 This allows Graham all the space he needs to sink the jumper. Possession 13: Graham settles for a beyond-NBA 3 to end the half and misses. Washington could have gone further out to challenge this shot, but overall his defense was fine on the play.